From "the hills are alive with the sound of music" to "Oklahoma, where the wind comes sweeping down the plain," composer Richard Rodgers and lyricist Oscar Hammerstein II have given us some of the most memorable and beloved melodies and lyrics in all of musical theater. Most of their creations were made into movies several years after the stage success, allowing even more people to fall in love with them. This weekend the Minnesota Orchestra is presenting a concert of excerpts from seven of their big hits, with clips from the movies shown on a big screen. As a former band geek who's normally too busy attending theater to listen to the orchestra, I revel in the chance to get my orchestra fix in when they do something theater related. It's an absolute thrill to hear this huge full gorgeous orchestra playing selections from Rodgers and Hammerstein's incredible and prolific partnership. Despite being a huge fan of musical theater, I've never been much of a movie buff. Of the seven musicals performed in this concert (including five stage-to-movie adaptations, one musical written for the movies, and one written for a TV movie), I've only seen one (since I've probably seen The Sound of Music a hundred times, maybe that makes up for what I've missed?). But I have seen five of the seven on stage. 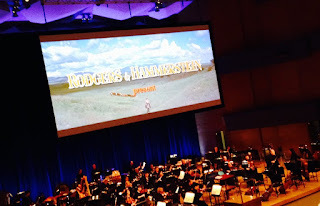 Fortunately MPR's Lynne Warfel was on hand to give us some background and trivia on each show, and Rodgers and Hammerstein's partnership in general. Appropriately, I couldn't see her on the side of the stage from my side balcony seat, so I only heard her soothing radio voice guiding me through the evening. 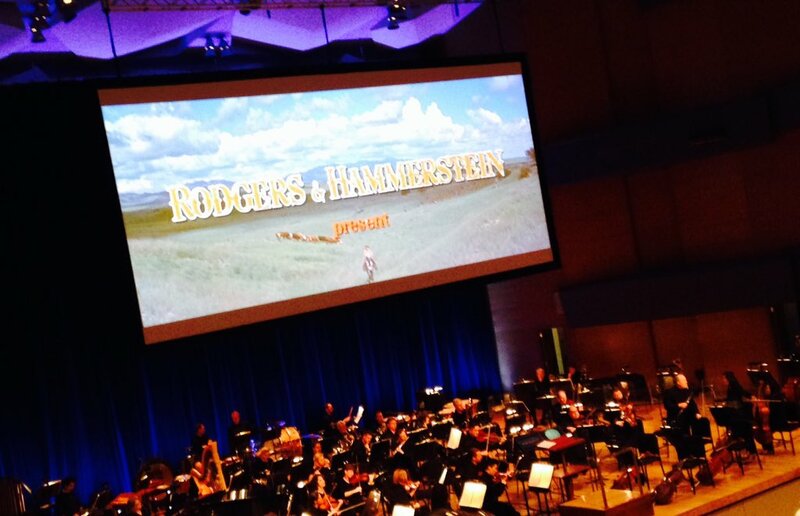 Last year the Minnesota Orchestra presented a staged concert of Carousel, Rodgers and Hammerstein's darkest piece and my first experience with this classic. The orchestra played the dreamy "If I Loved You" and perfectly accompanied the fantastic dancing in "June Is Bustin' Out All Over," the most impressive match of screen to music. The selections from perhaps my favorite Rodgers and Hammerstein score, South Pacific, from the fun "There is Nothing Like a Dame" to the impossibly romantic "Some Enchanted Evening," only made me more excited to see the Guthrie's production this summer. Although I've never seen The King and I on stage or screen, of course I'm familiar with "Getting to Know You" and "Shall We Dance?" It was fun to see the film clips with Deborah Kerr's impossibly big skirt under which she could fit all of the adorable Siamese children! I look forward to seeing the Broadway tour at the Orpheum next year (hopefully with much less yellowface than in the movie). State Fair is the one I'm least familiar with, perhaps because it was originally written for the movies and not performed on stage as often. The orchestra accompanied the 1945 and 1962 versions with "It's a Grand Night for Singing." Last but not least was Rodgers and Hammerstein's first collaboration, Oklahoma! The sweet and lovely opening music followed by the rousing title song was a beautiful end to the evening. Rodgers and Hammerstein shows may seem quaint and old-fashioned now, but they truly were pioneers who advanced the art form of musical theater and helped to make it what we know today. And the music stands the test of time, as evidenced by this "enchanted evening" of live music and beloved old movies. One performance of Rodgers and Hammerstein at the Movies remains for my fellow theater geeks to get their orchestra fix, or for orchestra geeks to get their theater fix. Next up, Broadway stars and Minnesota actors Laura Osnes and Santino Fontana combine forces in A Broadway Romance in July.